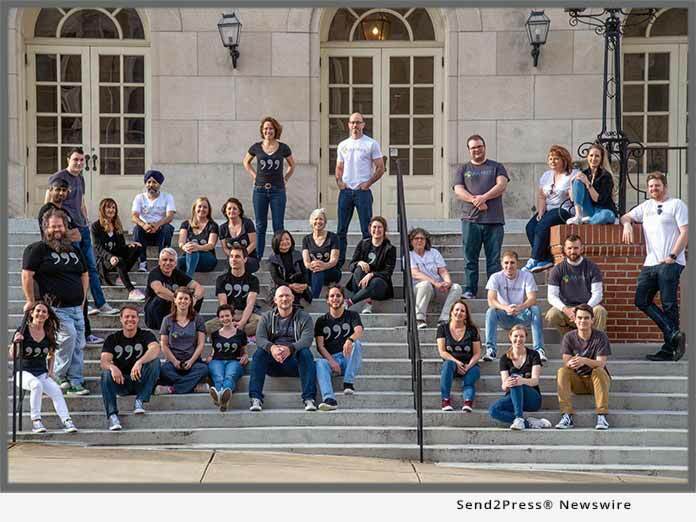 MACON, Ga., Feb 21, 2019 (SEND2PRESS NEWSWIRE) -- LBA Ware(TM), provider of the leading automated compensation and sales performance management platform for mortgage lenders, today announced that the company has been named a top mortgage workplace by two industry trade publications. In addition to being named a Top Mortgage Workplace by Mortgage Professional America (MPA), LBA Ware was also recognized as a Top Mortgage Employer by National Mortgage Professional (NMP) in the magazine's January issue. "From 'Chuck Checks' to company outings to consistent community service, we've worked hard at building a unique company culture at LBA Ware that breeds innovation, camaraderie and absolute dedication to client success," said Lori Brewer, founder and CEO of LBA Ware. "Having those efforts recognized by our industry peers is an honor that I share wholeheartedly with my fantastically talented staff. Without them, none of this would be possible." For its Top Mortgage Employer award, NMP solicited nominations from employees, focusing on the benefits and culture of their respective employers. In selecting LBA Ware, the magazine noted the company's propensity to attract motivated problem-solvers that take a hands-on approach to fully examining and creatively solving the business challenges facing lenders today. Nominees for the inaugural MPA Top Mortgage Workplaces list were evaluated on metrics including, but not limited to, benefits, incentives, employee development and culture. Elements that helped distinguish LBA Ware as a Top Mortgage Workplace include a commitment to ongoing innovation, benefits that encourage employee enrichment, flexible work arrangements, paid maternity and paternity leave, active participation in local and industry communities and generous health, welfare and retirement benefits. LBA Ware also places a premium on culture, as evidenced by its annual company retreat, quarterly family outings, pizza lunches, holiday events and group volunteering. For more information on employment opportunities at LBA Ware, visit https://lbaware.com/our-company/job-opportunities/. Founded in 2008, LBA Ware's mission is to inspire opportunity by delivering solutions that are essential to the way mortgage companies operate. We are a trusted partner and play a key role in our clients' success by enabling them to motivate, incentivize and better leverage the human potential within their organizations. Our applications automate traditionally manual business processes for which an existing software solution does not exist, empowering lenders to create an integrated software environment that maximizes their productivity and operational efficiency. For more information about LBA Ware and our software solutions, visit https://lbaware.com/.